Returned To Keep A Two-Year-Old Promise — Canvasback Missions, Inc. He wanted to return to Ebeye to fulfill his promise to a patient. It's not every day that a doctor will wait two years to complete his surgery plans. 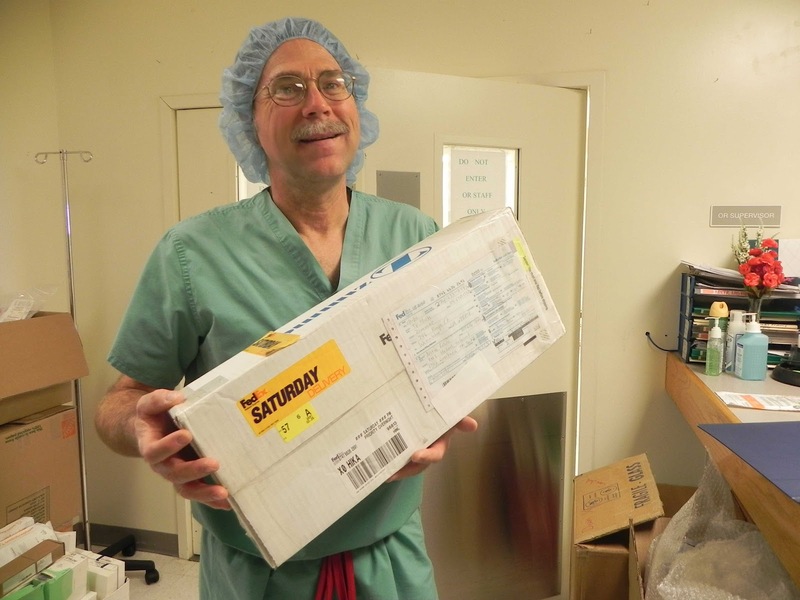 But orthopedic surgeon, Steve Peterson from Sonora, CA, had to do just that. During a mission trip in 2010, Peterson met John Tabuaka, who was in need of a total knee replacement. Plans were made to perform the surgery; however on the day of the scheduled surgery, Peterson had to tell his patient that he didn’t have the right size implant. “I was so humbled by Tabuaka’s response. He had waited all weekend for his surgery and when I couldn’t do it, John said, ‘That’s okay, I’ll wait until you come back.’ I promised Tabuaka when I returned, his would be my first case.” Peterson returned to Ebeye last month and he was excited to be able to keep his promise. Tabuaka was the first of 30 patients to have orthopedic surgery. In just nine days, the healing hands of our orthopedic team treated 163 patients and performed 30 surgeries, including 8 total knee replacements, 3 total hip replacements, 9 arthroscopies, and 10 upper extremity cases. The dental team examined 683 patients and performed 1,519 procedures on three different islands. “The people were amazed when they saw the mute speaking, the crippled made well, the lame walking and the blind seeing. And they praised the God of Israel.” Matthew 15:31.